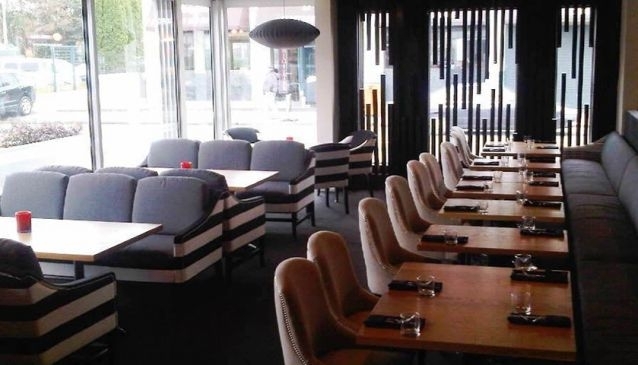 Aikmans is situated in the Merivale Mall and offers diners a relaxed and modern restaurant and bar. With fireplaces positioned indoors and outdoors, a warm welcome is guaranteed during those cold winter months, while the outdoor courtyard is perfect for al fresco dining in the warmer months. The interior is spacious with comfortable seating including sofas, and floor to ceiling glass windows to bring in the light. A separate bar long bar area offers a selection of New Zealand tap beers, international bottled beers, along with a selection of wines and spirits. The brunch/lunch menu includes the likes of crepes, eggs benedict, a full cooked breakfast, gourmet beef burger, fish and chips, duck pie, caesar salad and thai pork salad. The dinner menu features a choice of plates and dishes such as Canterbury Lamb Rack, Marlborough Salmon Fillet, Mountain River Venison Loin, Drambuie Confit Duck Leg & Tea Smoked Breast.